Tim Day joined the YSS board of directors in 2016 after becoming involved with the Chilly Chili Challenge event, which is a fundraiser for YSS’ GRIP Mentoring program. Tim’s efforts during that event raised nearly half of the total funds from the challenge. Tim gave a call to action, which led to a gift of over $10,000 towards the GRIP Mentoring program. In addition to his involvement with YSS, Day is also a founding member and Chair of both the Gilbert Youth Baseball and Gilbert Youth Sports, which provides oversight to youth baseball, softball, volleyball, boys and girls basketball, and flag football in Gilbert. Under his leadership, thousands of dollars have been raised to improve fields, dugouts, concession facilities, and restrooms as well as purchase a vehicle for field maintenance. Tim also volunteers his time as a radio announcer for Gilbert High School Athletics, holds the position of President of Iowa State University’s Faculty Senate, and is very involved at Cornerstone Church, where he serves on the leadership team as an elder. ​Tim and his wife, Sarah, are also involved in a program called Home For Awhile, which is an organization that seeks to reduce homelessness in our community. It is obvious that Tim’s dedication to his community is truly outstanding. For over three decades, Country Landscapes, Inc. has beautified Ames and surrounding communities through residential, commercial, and institutional landscape design. The company grew from an old barn in Ames to a statewide leader in the landscape industry, but has also evolved as an exemplary corporate citizen and advocate for philanthropy. Over the years, Country Landscapes, Inc. donated labor, materials, design, and other expertise services to organizations such as Heartland Senior Services, Mary Greeley Medical Center Foundation, the Ames Foundation, and Israel Family Hospice House. They have also continued to play a fundamental role in the development of Reiman Gardens over the past 21 years. ​Throughout the community Country Landscapes, Inc. and its leadership team has not only supported numerous organizations through donations but also advocated and encouraged employees, partners and others in the community to become philanthropists as well. Established on the Iowa State University campus in 1913, Pi Kappa Alpha is a fraternity of “scholars, leaders, athletes, and gentlemen.” With a mission that includes philanthropy and service, members raised over $30,000 for local nonprofits and logged over 4,000 hours of volunteer service during the 2015-2016 academic year. 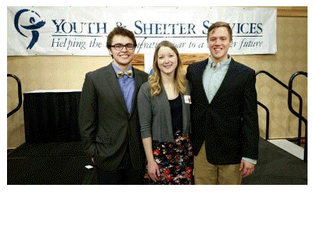 ​Pi Kappa Alpha participates in recurring fundraising initiatives like Dance Marathon and Polar Bear Plunge and has also created new philanthropic traditions such as Pikes Puppies, which benefits the Story County Animal Shelter, and the Mentoring and Volunteer Students Club (MAVS), a student club designed to recruit male mentors for YSS’ school-based mentoring program. The fraternity members are also active as coaches, role models and problem solvers for the Arc of Story County. In addition to providing financial support and volunteer assistance, Pi Kappa Alpha is recognized for creating long-term philanthropic engagement on and off campus. Elementary School Literacy Resources, High School Agricultural Education Program, Teacher Innovation Grants, Middle School Classroom Library Enhancement, and High School Career Day. 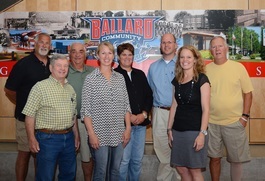 In addition to these projects, $20,200 was used to establish the Ballard Education Foundation Endowment to support future projects. 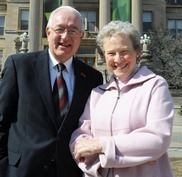 Bev and Warren’s support of Ames and Story County begins first at Iowa State University. Their involvement at ISU is extensive and reaches far beyond their years of service as vital members of the University staff and faculty. Annually they support Reiman Gardens, the Stephens Program Fund, the ISU Alumni Association, Cyclone Club, University Museums and numerous scholarships and academic programs across campus. Many of these programs and entities aren’t just part of Iowa State, they are the cultural features that make Ames and Story County a wonderful place to live. Throughout the community they are involved in the Ames Chamber of Commerce, United Way of Story County, Alpha Delta Pi sorority, YSS and Mary Greeley Medical Center. 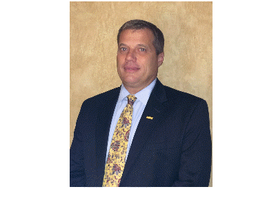 Warren has been an active member of the Rotary Club of Ames since 1985 and is a two time Paul Harris Fellow. The charities they support through their financial gifts are many, but they also provide countless volunteer hours as well. ​Bev and Warren Madden stand above the rest in the shear breadth of their involvement in the Ames and Story County community. They are members of, and leaders within, this community in which the city and the university work together to provide a genuinely wonderful quality of life for the people who live here. The fact that they support so many organizations so generously with their time, talent and resources make them true Story County philanthropists.